ZZ Top have cancelled their upcoming show in Warsaw, Poland next month. "We are disappointed that we will not be coming to Warsaw to perform next month,” posted the band. “We've only had very positive experiences whenever we've played in Poland and look forward to performing there again in the future." 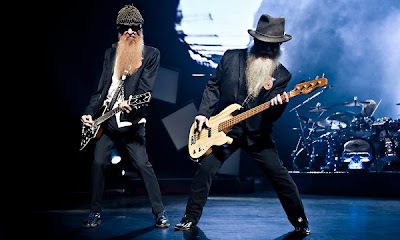 A representative for the band pointed out that other projected tour dates had to be deferred in order to build the Ursynalia date into ZZ Top's touring schedule, adding, "Honoring the terms of performance contracts is fundamental to the touring business in every country in which ZZ Top has ever appeared. We regret that the band's fans in Warsaw will not be able to see them there next month but we had no choice in the matter in light of the promoter's non-compliance." ZZ Top will kick off a series of European dates on June 18 in Paris, France; the band returns to the U.S. for shows starting July 28.